No more fingers in your armpits! 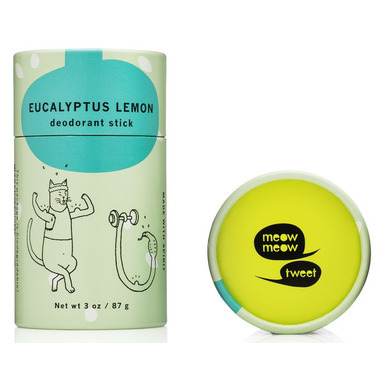 Meow meow tweet's stick deodorant is a synergy of potent plant and mineral powders with sweet smelling and mighty essential oils that will keep you smelling oh-so fresh! 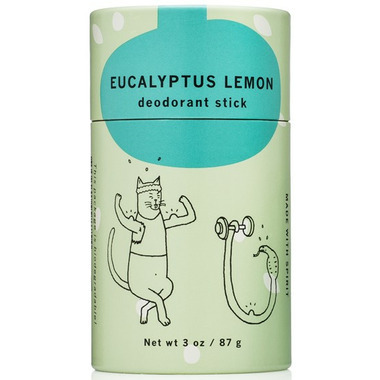 The Lemon Eucalyptus smells fresh and clean with a spicy hint of clove. Not only does it work, but the packaging is biodegradable- it will compost in a year!